There’s nothing better on a cold winters night, than being all snuggled up in a warm cosy bed with a good crafty book! And if your anything like me – I always have 2 or 3 on the go at once! Have you heard of Elsie Larson and Emma Chapman before? They are the sisters behind the ‘empire’ A Beautiful Mess. 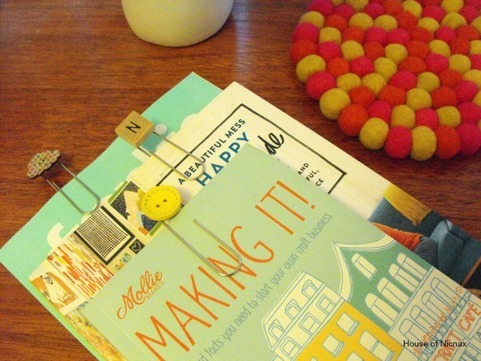 Oh my crafty goodness – this book is a-maz-ing! I thought I’d give it a bit of a review for you all.